One of the joys of having a birthday is that you, sometimes, get gifts of a monetary nature. As I did this year. So, seeing as it is July 26th and chucking it down AND is rather unseasonably chilly, I have put my birthday cash towards a new coat for the autumn and winter to come. (Somewhat sooner than hoped for it appears). 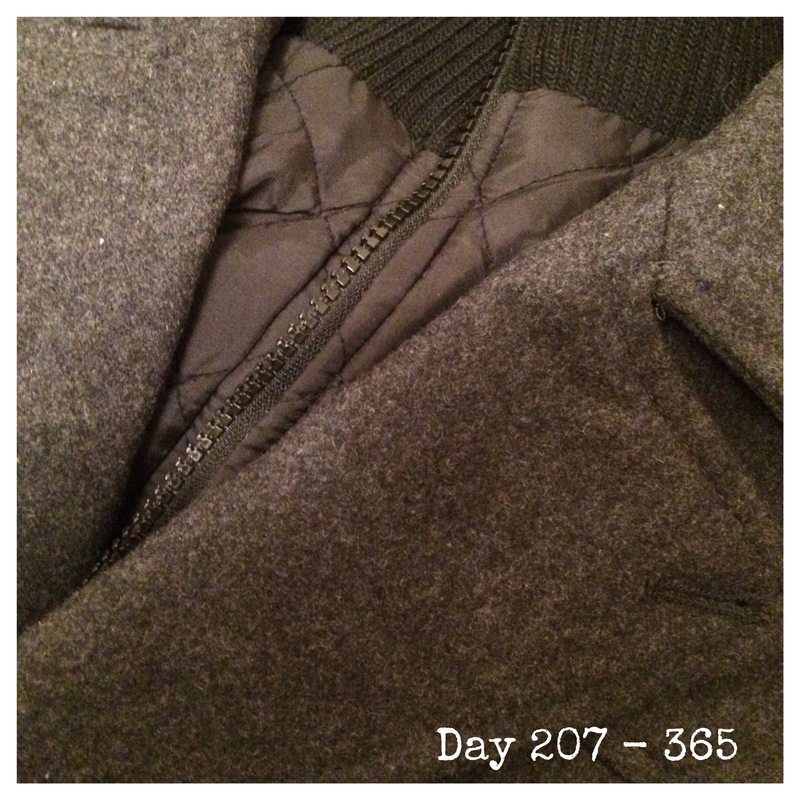 Today’s “365” image is a close up of my new winter warmer. I’m looking forward to be snug in this while on the terraces following City.